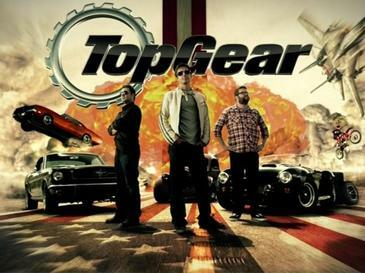 Originally debuting in 2006, Top Gear USA has become a go-to for witnessing some of the liveliest automotive action ever seen. Today, we’re revisiting one of the show’s greatest moments as the show’s hosts– Adam Carolla, Tanner Foust, and Rutledge Wood– have a face-off between some of the States’ most enduring muscle cars. This entry was posted in Culture and tagged 1969 Chevrolet Camaro SS, 1970 Dodge Challenger, 1970 Ford Mustang Boss 302, 2012 Chevrolet Camaro SS, 2012 Dodge Challenger SRT8, 2012 Ford Mustang GT, drag race, la river, muscle car, Top Gear, top gear usa. Bookmark the permalink.